Solo is one of the most popular cities in Indonesia, located in Java (Central) Island and has a good reputation as a vacation destination, especially for its local culinary delicacy. 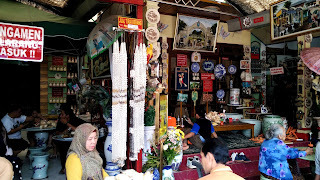 Solo is also very popular among Indonesians and foreigners for its Batik clothes. This is not my first visit to Solo, as I lived in Yogyakarta once which is about 1-hour drive to Solo, yet I never really explored Solo. This time, I had approximately 24 hours to explore Solo (downtown). 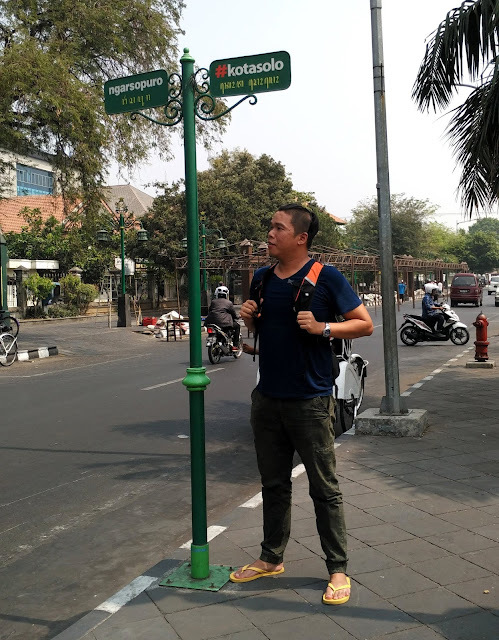 With 2 friends of mine, we tasted some culinary and looked around couples of interesting destinations around the downtown of this small historical city. 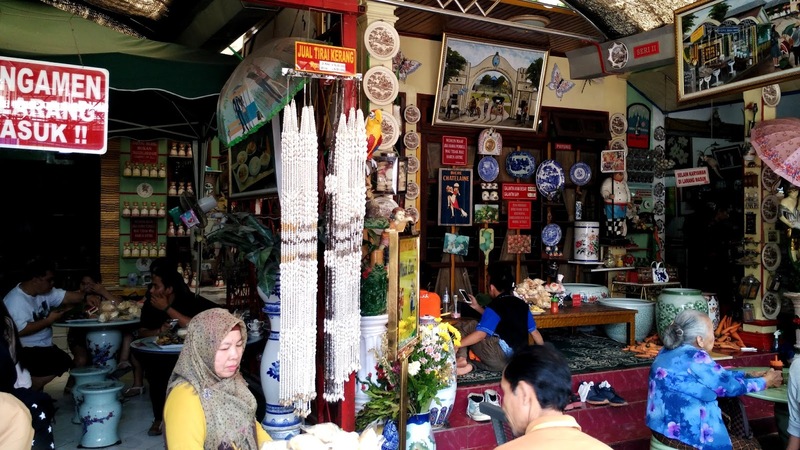 It is a quite big traditional art and antique market, located in the central of Solo. 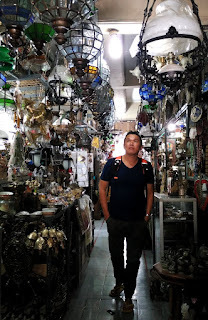 A market that I found very interesting and exotic with its millions of collections of handicrafts (from woods, glass, irons, other metals, clay), antique household tools and furnitures, whether they’re new or used. It’s like a mini heaven for collectors and antique lovers. The excitement didn’t stop here. When the evening comes, the market will close, but the street in front of the market will be closed for any vehicle then becoming a pedestrian with tens of stalls offering you souvenirs, clothes, street foods, and many more. 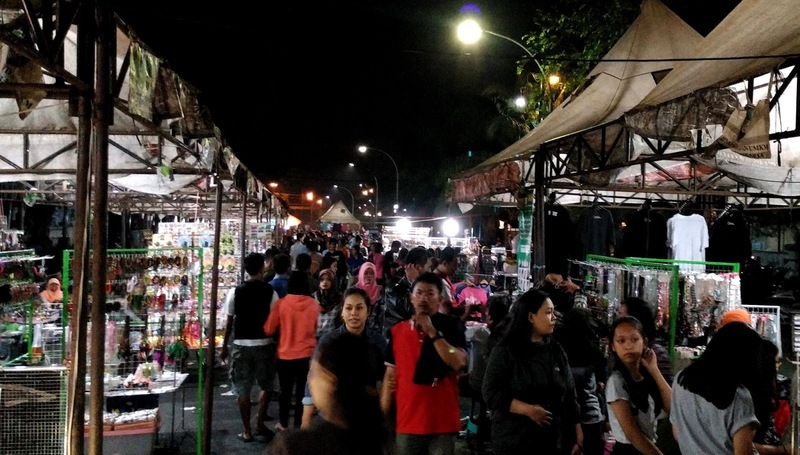 Yep, it becomes a night market. Still in the same area (short walking distance), there’s a museum owned by Danarhadi family which is famous for their batik industry in Indonesia and foreign countries. Thousands of batik collections from around the world and various eras were displayed. Some say The Danarhadi family has around 10,000 batik clothes collection half of which, alternately, will be displayed at the museum. The entrance ticket is included guide fee. Visitors are not allowed to walk around among the collections without a guide, and also restrictedly forbidden to touch and photograph the collections. I have to swallow my skeptical of this museum because it literally displays a wonderful and beautiful collection of batik clothes with their own story of the pattern and of the creator or the owner, which partly were owned by the Royal Family of Solo monarchy. Well recommended, especially for Batik lovers. This ice cream absolutely brought back many good memories of little me enjoying this kind of ice cream which is one of popular street foods among kiddos in the land of Java. This ice cream was well perfect in a hot sunny day. Smooth, melted in your mouth and it has rich of coconut flavor. It usually serves with fragmented sweet sour green rice. It’s heaven! The ice cream is sold in a cart with short cups hanging down on the top of the chart. 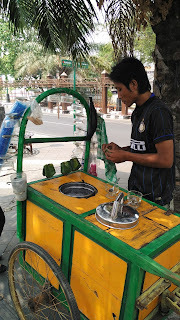 Nothing fancy, the price is very cheap and you have to stand or sit on pavement while enjoying this ice cream. 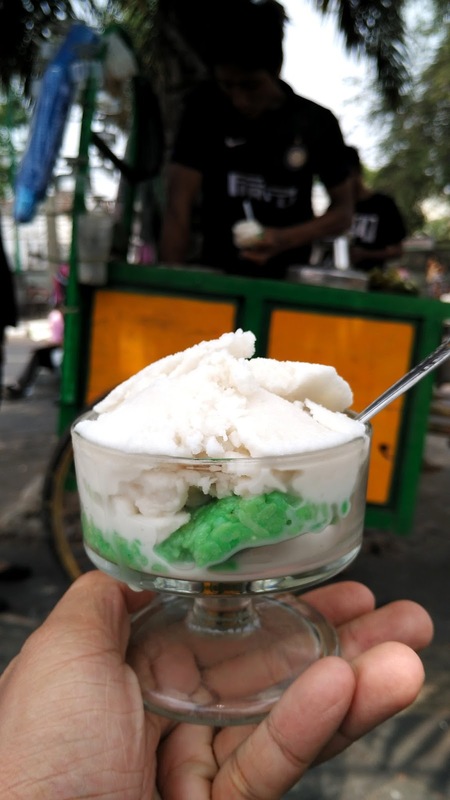 This is definitely one of the best and popular Indonesian cold desserts. 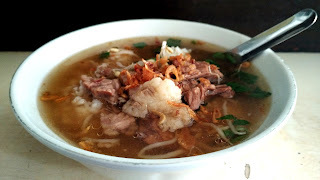 Soto is one of popular and favorite dishes from Java Island. Every district has their own signature of their soto delicacy. Usually yellow soup with choices of beef or chicken (including the offal), in some district the soup, instead of yellow, it’s clear or brown clear. Soto Triwnidu is a beef stew with clear soup and fresh bean sprouts, served with steamed rice. It’s very tasty and refreshing. The meat is very tender and the soup is heaven. 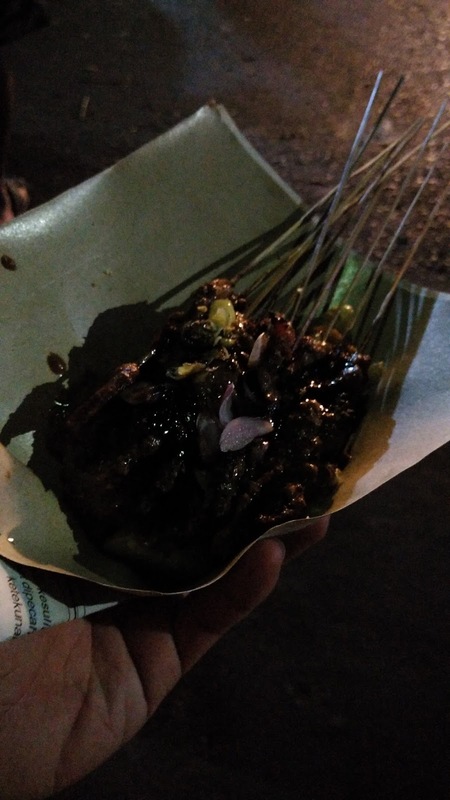 This dish is commonly enjoyed with many side dishes which are served on your table, from fried fragmented bean cake (Tempe), fried beef offal, fried mashed potato, etc. Well recommended for breakfast or and brunch. 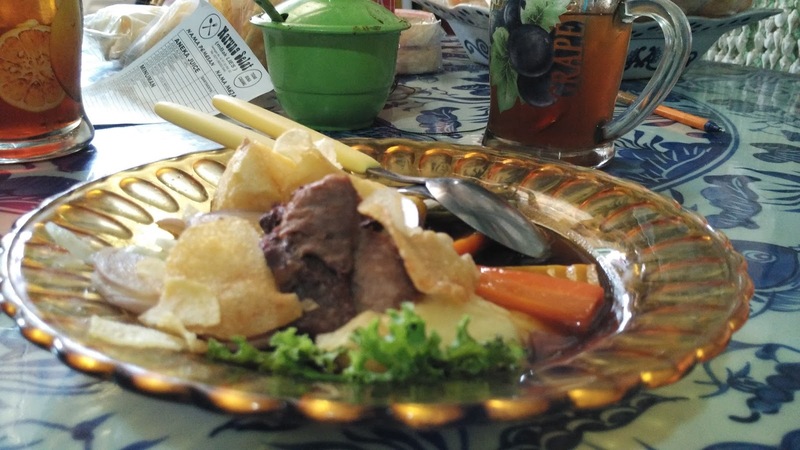 One of the authentic of Solo delicacies, Selat Solo is slices of steamed spiced beef with vegetables and potatoes in sweet brown gravy. Usually, the choices of the meat are beef meat or beef tongue. 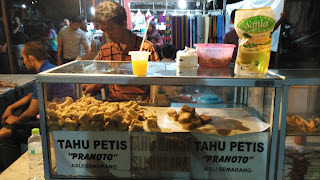 It’s uniquely delicious and very popular among locals and tourist. Besides Selat, Mbak Lies also serves other Javanese (Central) dishes. 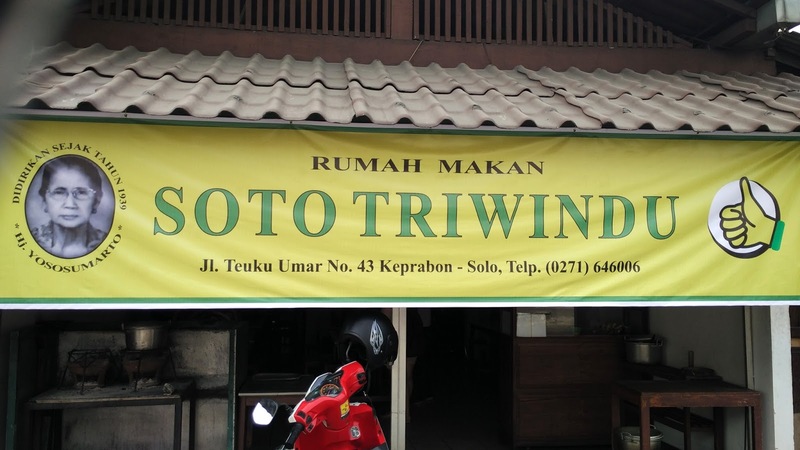 Warung Mbak Lies located in a narrow street, so during lunch time there will be traffic and queue line to enter the restaurant. The restaurant itself is an entertainment. It’s a unique restaurant with its own style of decorations and furnitures. Some of the things that we thought were just of decorations, turned out were the things that we could buy. 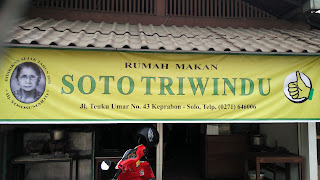 Based on my assumption, this museum is the main museum in Solo. 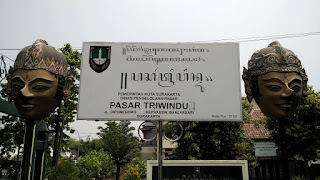 A museum which has various collections from ancient era to colonial era. With (too) cheap entrance fee, I could get all access to all collections in this pretty small museum. Inversely proportional to its collections, I think visitors need to notice the safety and the preservation of the collections. It is all because I do not think that the museum has a good security system to protect its artifacts. In my opinion, the museum should increase their standards of maintenance, as well. Yet, I believe that this museum has a high percentage potential to be one of the finest museums around Central Java.